Thanksgiving has come and gone and December is here. Time to sell your home. Yes, really. 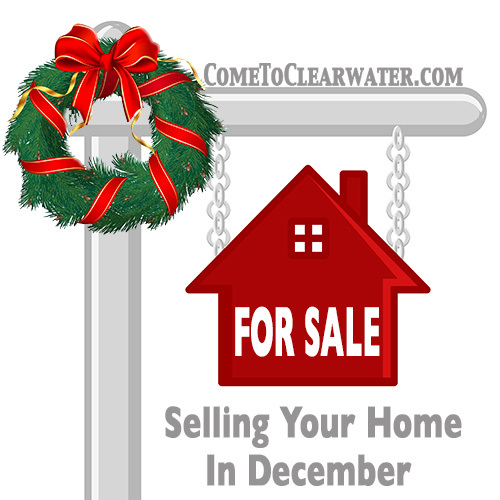 December is a great time of year to sell your home. Selling your home in December means fewer homes for sale, more people from out of town looking and better chances for you. People are busy, but not too busy to house hunt. If someone is in the hunt for a home, using time waiting in line Christmas shopping to look online for homes to see is probably how they multi-task. The fact that the holidays are busy will work to your advantage another way. Who has time to just look? People looking will be serious buyers. If they are going to take time out of their busy holiday schedule to look, that means they are buyers to take seriously. That means that your Realtor will show to well qualified, pre-qualified buyers who are serious. Aren’t you busy at the holidays too? No wasted time for you either. I bet if you asked others about listing in December they told you it was nuts. “No one ever lists in December!” Exactly, that means less competition. But buyers are still looking. New listings in December are few and far between, so it gets buyers looking jazzed. Now think about them looking at your home. How does it look this time of year? Decorated and at its best. Perfect! Getting your home sales ready in December is really much easier than you think. You are already making room for decorations and a tree, probably packing a few things away for the duration. So, use the opportunity to declutter and pack. Then tastefully appoint your home with holiday cheer. Selling your home in December works to your advantage. So decorate, and get ready to move after the New Year! New Year, new home. Sounds good, doesn’t it!